Raja Jesrina Arshad, Co-Founder and CEO, of Kuala Lumpur-based start-up, PurelyB, has a dream: building her healthy lifestyle online platform to be a leading provider of health advice and product throughout Asia. PurelyB presented MBS Students, Fabian Turcinov, Kanwarpal Singh, Lu Zhang, Qinxin Han and Weifeng Zhou, two expansion and improvement objectives: 1. To research, analyse and propose strategies for future market expansion in Asia; 2. Identify ways the current business could improve, from both a business consultant and consumer standpoint. To deliver on their task, the students spent two weeks in the KL offices of PurelyB. The group's mentor Professor Brad Potter, noted the importance of these students being versatile and having the ability to develop an understanding of an industry in a short amount of time, despite none of them being experts in the field. He guided the team as they explored concepts taught in the classroom, and the extent to how and why those learnings applied to the PurelyB challenge. “The key was to provide a robust and transparent way for the company to compare and contrast challenges and opportunities in very different countries. Tools that enabled them to do this ranged from textbook theories to Google analytics,” Professor Potter said. Arshad, spoke about overcoming the struggles her team faced in the early months, while simultaneously focusing on the ambitious plan to become Asia’s leading online content-community-commerce ecosystem in health and wellness. She recognised that as one of the first companies to emerge in this space the model was largely experinemental, due to their being no existing models or benchmarks for comparison. “Due to the limitation of our data and resources, especially in approaching estimated market scales of targeted countries, there was always going to be the trade-off between reliability and relativity,” Zhou revealed. GBP Team in Kuala Lumpur. 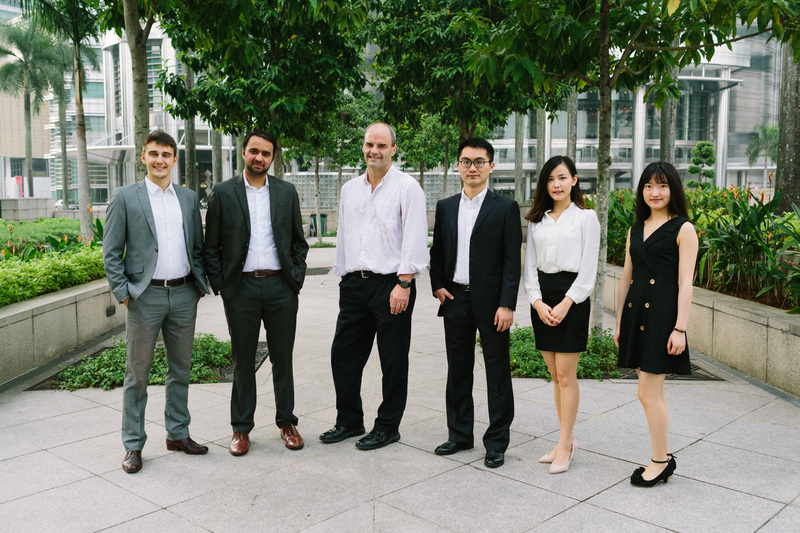 L-R: Fabian Tucinov, Kanwarpal Singh, Prof Brad Potter, Weifeng Zhou, Lu Zhang, and Qinxin Han. “Part of my role is to encourage them to believe in what they have learned to date (and the applicability of it) and also in the fact that they have great potential to create significant value for the company,” Prof Potter said. Professor Potter stressed the importance of a global perspective. Without it, the students would not have been able to develop an effective expansion strategy for the company. Understanding and appreciation of the social and cultural conditions in each country studied, enabled the students to identify specific aspects the company needed to consider to expand into each country. “Intensive research was conducted for possible expansion plans by PurelyB that focused on targeting markets with less competition to keep costs down. Segmenting the market helped identify the optimum target customer that aligned with PurelyB’s strategy. We also formulated practices for generating funds to enable expansion plans and a sustained competitive advantage for the company,” explained Singh.